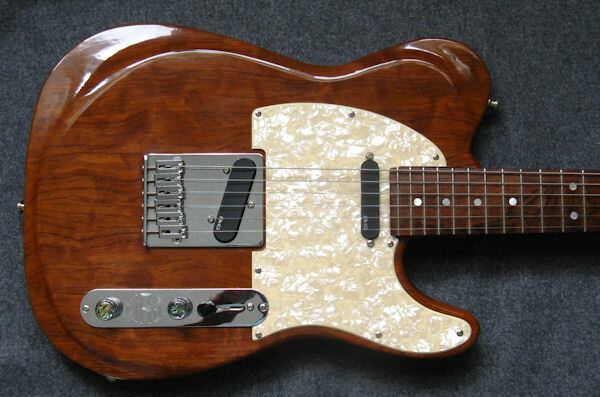 This carefully thought-out guitar has been custom-built for maximum sustain. The highly figured mahogany body, with beautifully figured bubinga top and rosewood neck, make this hand-carved instrument a rare beauty. The EMG Active pickups make the 'Spitfire' a real 'powerhouse'. 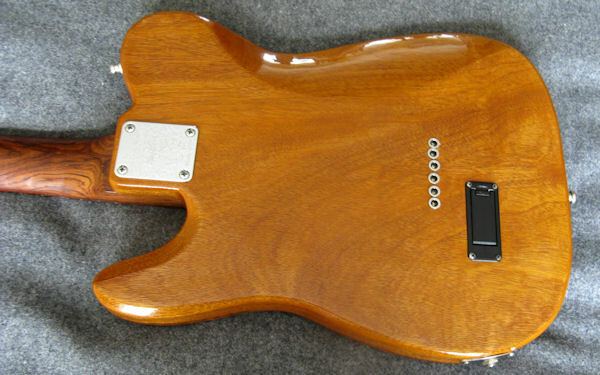 Beautifully carved mahogany body and bubinga top. 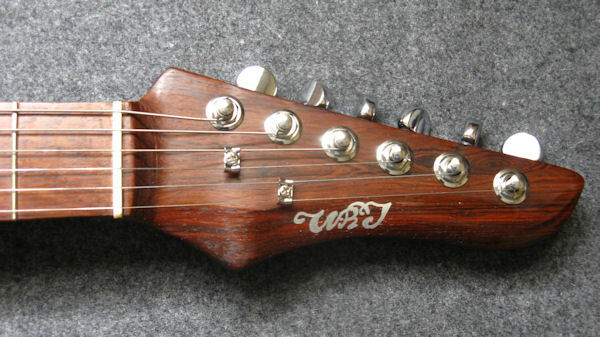 Specially shaped rosewood neck has a finish that brings out the natural feel of the wood. 2 EMG single-coil Active pickups (TC Set) powered by 9-volt battery. Master volume control, master tone control, 3-way pickup selector switch and stereo output jack. Cream pearloid pickguard and chrome control knobs with abalone caps.